Every summer we look for minimum two people to work with us during the summer (beginning of June to end of August). One to work with the horses and another to work at the guesthouse: the work with the horses is mainly as a guide on the trail-rides, this includes taking care of the horses and equipment. We also do excersizes and ride them before the tours. We also need one to take care of the guesthouse with cleaning, cooking and this includes keeping overview of the bookings and driving luggage. We have riding-guests during July who stay for 8 days on each tour, and guests who come to stay the night at the guesthouse with no riding in June and August. Piitaq is mostly the first guide during all the trail-rides and Naasu does all the cooking, selling drinks, souvenirs and keeping overview of the bookings and arrangements. Piitaq must also do the harvest during the summer. 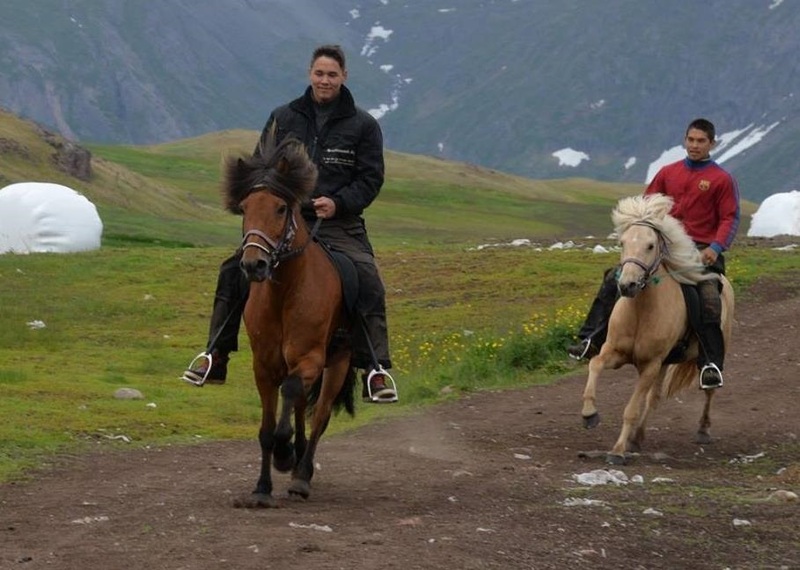 We look for people with experience as a guide on trail-rides. We also need to train younghorses sometimes and it would be great if you have experience on training horses too. We have a lot of farm-work to do as well, also someone who can help Piitaq with harvesting.